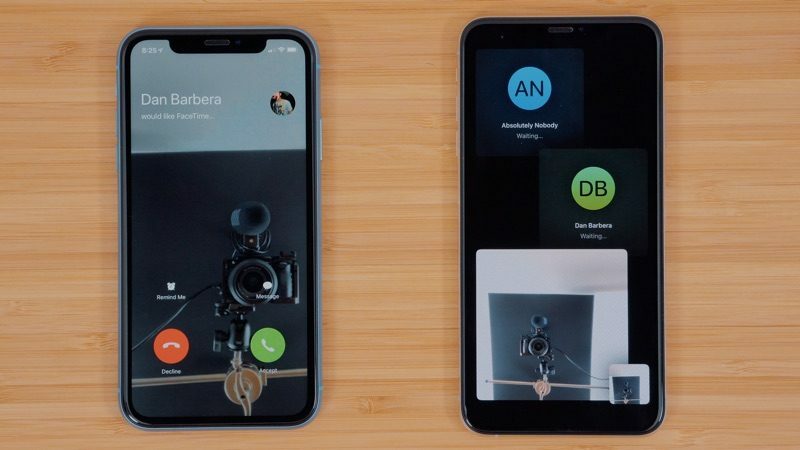 Apple appears to have disabled Group FaceTime on its server side as a temporary workaround for a major bug discovered today that allowed anyone who places a FaceTime call to listen to audio from the recipient without them answering the call. The bug even extended to video in some circumstances. As spotted by Mark Gurman, Apple's system status page now says "Group FaceTime is temporarily unavailable" as of 7:16 p.m. Pacific Time. As a result, it is no longer possible to add your personal phone number to a Group FaceTime call, which was the underlying cause of the bug. Multiple editors on our team have confirmed being unable to add a phone number to a FaceTime call. One-on-one FaceTime calls continue to work normally. Apple has promised to release a software update that permanently addresses the bug "later this week," and given the serious privacy implications, the company likely has engineers working on the update as we speak. Group FaceTime is limited to iOS 12.1 and later. Edit: reading it’ll take a week. If so, that’s pretty shameful. A company of Apple’s size/stature shouldn’t take an entire to fix a known bug that concerns privacy. I’m a software tester, taking a week is incredibly fast. There is nothing shameful about it. You first have to have the engineers identify the appropriate fix, throwing dozens of people at it isn’t going to help only a handful of people are going to have the expertise in the area to address it and your going to want your highest level engineers on it, meaning even fewer. Once they have identified the source of the bug you have to decide on the fix and actually make it. Then it has to be reviewed to try and avoid other bugs. After that you have to take time to test the fix. Testing involves not just this specific scenario but potentially hundreds of other scenarios involving FaceTime and other features that might be impacted. And you have to do that fixing and testing across the entire line of products, macOS and iOS. That’s also going to take time. Even working around the clock shifts there is only so fast you can move. Plus they are probably going to do some extra testing and around FaceTime to try and catch any other bugs like this. Software development, especially of the scale is hard. There is a reason the people who can do it well make a lot of money. What would be shameful is rushing out a quick fix that solves this problem but possibly introduces other ones. Apple has taken the quickest possible step to protect users and now will fix the bug. They did this 100% the right way so far. Someone needs to be fired for it. Why does someone always need to be fired for a mistake? This was not one person missing it. It was hundreds of employees, thousands of developers, and hundreds of millions of FaceTime users that missed it. The fact that it took 4 months to come out shows how 'hidden' this bug was. Good move by Apple. Cuts the bug off at the knees. This is a good move by Apple! Nice to see Apple take responsibility and look out for their users. Nobody is perfect, everyone makes mistakes. I've just disabled ft. If this kind of bug was allowed to happen, it's possible there are other hidden bugs. It's better to be safe than sorry. I highly recommend that everyone disable facetime on their apple device at this point. Yeah... I'll pass, thanks. Nobody who FaceTimes me is going to try to spy on me, and if they did, I'd see it because it's not like someone can FT you without you knowing about it. That said, it's still a good move to take down Group FT until a fix can be issued because the negative publicity from this is already out of control, and Apple is wise to cut it off now. It’s always possible that there are bugs anywhere in iOS. Why not just disable iOS entirely? Because they have caused a massive PR headache for both Tim Cook and Baymowe.